If you’re using React and / or Redux, you should be aware of two major changes coming soon in each of those libraries. First, Redux just released v4.0.0-beta.1. There doesn’t appear to be any major changes breaking changes unless you were using some of the types Redux is no longer exporting. There are also some additional checks and errors around dispatching too early in middleware, so it should solve a common pitfall when setting up middleware. It’s a problem I’ve experienced a few times when using brookjs and it’s why we recommend dispatching an INIT action after the application is bootstrapped. 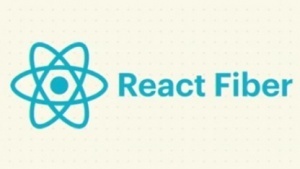 In addition to the upcoming change in Redux, React has seen some major changes as well. First, the new Context API was proposed and landed, the first major change using React’s new RFC process. The Context API has always been considered somewhat experimental, although it’s been used widely by a number of libraries, including react-redux and react-router, and the current implementation ran into a number of challenges. The biggest is shouldComponentUpdate will tell React that none of the elements of a given hierarchy has changed. If a component in that hierarchy would change as a result of a change in context, that change isn’t able to propagate down the tree. The new API uses higher-order components to set and provide a Context. It uses a render function as a prop to provide the value of the Context, giving the context Provider control over when its dependents render. It’s currently behind a feature flag, which means it may not be available to you in your regular applications just yet. Once it comes out from behind that flag, you’ll be able to use Context in your applications, knowing that this is a stable API you can rely on. More importantly, though, React continues pushing towards async-rendering by deprecating all of the componentWill* lifecycle methods. The reason for this major change is they’ve found these lifecycle methods could be potentially unsafe in an async world, so they’re suggesting moving most of the logic previously implemented in the methods to either componentDid* or the render method itself. They’ll be introducing new versions of these methods prefixed with UNSAFE_*, so it’s very clear that these methods could cause problems in an async world. One of the major use cases for componentWillMount in particular is to run logic on the server, as componentDidMount never runs on the server. They’ll be introducing a separate lifecycle hook for server-rendering only where that logic could live. Otherwise, any logic that currently lives in componentWill* should move to either the corresponding componentDid* or render itself. This is going to have a major impact on the community, Facebook’s "move fast and break things" applied to open source, but the overall goal is laudable. React is ultimately moving towards an async-rendering world, and while the initial Fiber implementation makes async rendering possible, more work needs to be done in order to fully enable it. Unfortunately, it looks like there’s still a lot more upheaval in the ecosystem to come before we get there. A codemod is planned for application developers, so it should (hopefully) be less painful for apps to make the switch. Lbirary authors are likely to be hit hardest. I’m already looking at what changes are required in order to get brookjs working with async rendering, as we definitely use some of the now-deprecated lifecycle hooks. We’ll see if this turns out to be difficult.